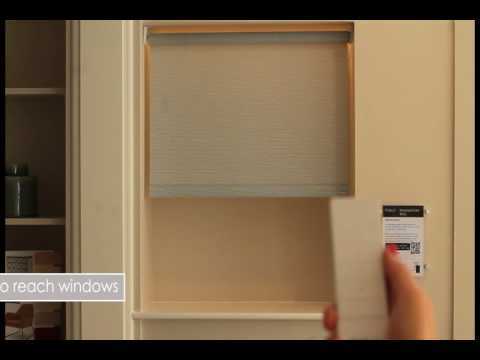 Control your window blind with the touch of a button and enjoy the freedom of cordless blinds. Perfect for hard to reach areas, Motorised Roller Blinds are easy to install, set up and operate. The rechargeable battery, which is inside the barrel, means there is no need for wiring. Safe by Design the Motorised Roller Blind option is a child safe solution. Operating Motorised Roller Blinds throughout your house is made simple with Individual and Group blind control options. The multi-channel handset can be stored discretely with the accompanying wall mount.